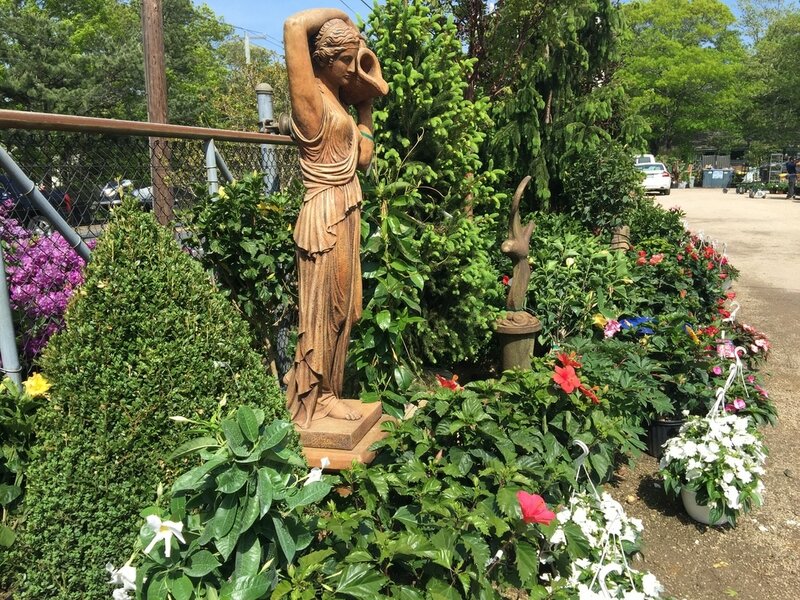 For 40 years, Aspatuck Gardens has been the source for all of The Hamptons' gardening and home needs. We specialize in rare specimen nursery stock, an expansive selection of hand picked giftware, and large exotic tropical plants. We are a year round, full service garden center. From flats of pansies and forsythia in the early spring to Christmas trees and custom wreaths in the winter, we are your one stop for quality. Our landscaping team can design and create an exciting visual presence that will add to your home for years to come. We offer the most advanced services like photorealistic imaging design. With our technology you are able to view the completed landscape before a spade has even touched the soil. In the spring and summer we provide a large selection of annuals and progressive container planting using all of the newest materials. We have an extensive selection of exclusive ceramic pottery, exotic orchids, and the best plant material from the most list. We also invite you to view our beautiful bronze and cement statuary. We are a family owned and run business that aims to provide the community with quality, expertise, and value.